Customer Reviews | Gayler Design Build Inc.
"Gayler is fantastic. We have done other remodeling projects before and we cannot believe how wonderful they are compared to what we have used before. There is nothing to be unhappy about. They are..."
"Gayler has been outstanding to work with. 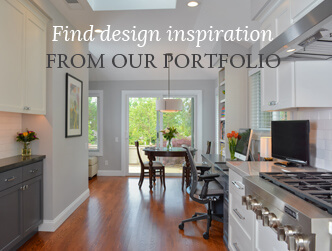 We have done two remodels with the Gayler team, and would highly recommend them for any type of home remodel project." "We received your notice regarding your changing to a Design Build Firm and I just wanted to tell you I think it's absolutely fantastic." "We have used Gayler Construction for two very different remodels in our home; a new backyard pavilion complete with lighting, fans, and heating and a state-of-the-art skylight in our kitchen. In both..."
"We truly enjoyed working with Gayler Construction. We were dreading remodeling our bathroom, but with Gayler’s help it was painless. Very professional, excellent staff & crew." "I had been putting off getting a new front door since I purchased my home over a decade ago. I had built it up in my mind that it would be an expensive endeavor, since my front door was a custom size." "We are thrilled with our experience with the whole Gayler team. Their communication, timeliness and attention to detail surpassed our expectations. They are a wonderful family business and they make..."
"Really impressed with the whole experience. The crew showed up on time and tried to keep noise and mess to a minimum. They did a great clean up job before they left each day. All were very..."
"Gayler Construction is a perfect example of our type of business – a small family run but very professional business. Our ideas were incorporated into the design but enhanced. Also a warranty book..."
"I feel very fortunate that Gayler Construction was available and willing to redesign and rebuild my small, old, and rundown house this past winter. I had lived in this house for the past 27 years...."
"Gayler Construction surpassed all of my expectations. It wasn’t a big job, but they treated it like it was. Fantastic Job!" "We just completed our commercial project with Gayler Construction. They are an absolutely fantastic group to work with! They were not only on-time, on-budget, and super easy to work with – but they..."
"I don’t think I can say enough good things. Very efficient and a very good value for the cost in terms of timeliness, lack of hassles, and quality of finished product. Everyone was nice to work..."
"We have worked with Gayler construction on two projects to renovate and upgrade the front of our house. In both cases, Gayler Construction was able to provide a number of creative alternatives to..."
"From start to finish of the project, we always felt confident that the job was being performed to our satisfaction. We were provided frequent updates from both the office team and construction..."
"Congratulations on being selected the BEST of Danville – Well of course you won, no doubt you are the BEST! We have never, ever worked with such a wonderful crew on a building project and we have..."
"We selected Gayler Construction to do a major renovation of our home because we believed they, more than any other construction company, would be able to handle the size and scope, while completing..."
"Our project manager was excellent. He was eager to please and very, very helpful. We greatly appreciated his attention to detail and the fact that he thought of many of the little details which we..."
"Neil and I wanted to send thanks for the wonderful work you did for us. It’s like we live in a new house and we love it! The kitchen is awesome never fails to get huge compliments. The flow of our..."
"We have had the pleasure of having Gayler Construction work on several remodels and projects inside and outside of our home. We have been consistently amazed at the quality and craftsmanship of their..."
"What separates Gayler Construction most from other companies is their unsurpassed quality, impeccable attention to detail and superior customer service. Gayler’s unique project planning process..."
"The final result was a master suite that, in many ways, is now a work of art. We think that there is a difference between construction and craftsmanship, and Gayler clearly engages in craftsmanship." "We have commissioned Gayler Construction to do several extensive remolding projects on our home; all of which were completed on time and on budget. They provide excellent quality of work, great..."
"The formula works so don’t change it! It was the fortuitous personal referral of a friend that brought us to Gayler Construction. Without reservation we will recommend them to our friends and..."
"The communication with our Project Manager was excellent. He was there every day with helpful information, and the weekly meetings kept all pending issues at the forefront. He always responded..."
"We love the entire Gayler Construction team. After working on multiple project with you; our kitchen, hall bathroom, master bathroom, converting living room into a den and moving, closing and..."
"After a terrible remodel experience that was never actually completed, we found Gayler Construction. They came in and completed the first remodel job, then remodeled another 1000 square feet of our..."
"Gayler Construction is the best!! Being in the Real Estate industry, I hear nightmare stories all the time. When my husband and I decided to do a remodel, we interviewed four companies. Gayler was..."
"The house is UNBELIEVABLE. We are so thrilled by it. What an awesome job your team did. You all receive the highest marks for excellence. If only every business treated clients as well as you do!" "Our family has worked with Gayler construction several times over the last few years. Two of the projects have been major remodels: the first, to remove interior walls, carpet, and flooring in an old..."
"We are so thrilled with our new kitchen and family room. The remodel is exactly what we hoped for; the transformation is remarkable. We can still hardly believe how smooth and speedy and even..."
"Everyone at Gayler went out of their way to disrupt our life as little as possible while doing their job professionally. We are very pleased with both projects they have completed for us therefore..."
"Timeliness was excellent, overall customer service was excellent, cleanliness of the work site was excellent, quality of work was excellent, and our satisfaction with the finished project was..."
"Everything was kept running so far ahead of schedule that the project was finished in three months rather than the scheduled five months. It was frightening embarking on a project of this size and..."
"Thank you hardly seems adequate to express our satisfaction with Gayler Construction. Your professionalism, attention to detail and support of our goals made it much easier than we dared hope it..."
"Gayler Construction remodeled our kitchen and family room over 10 years ago. The design, product quality, and construction was such that visitors to our home think the remodel was recently completed!" "What a great group of guys and all respectful of our property. When we had mounds of dirt, trenches around two-thirds of our property, and piles of construction equipment everywhere, at the end of..."
"Thank you very much for everything that you and the entire Gayler Team have done for us. Although your firm was highly recommended to us, you have exceeded our expectations in every way. We couldn't..."
"The best experience ever! We traveled a lot during our first floor and kitchen remodel and felt completely comfortable having their team in our home while away."